After Dr. Sarah graduated from college, she was unsure where life was going to take her. Her best friend encouraged her to consider the chiropractic field. As Dr Sarah gained more knowledge about chiropractic, she knew it was the right direction for her. Chiropractic care focuses on healing and nurturing the whole body and not just damage control of aches and pains. Dr. Sarah always knew she wanted to be in the healthcare industry but wasn’t sure where she fit in or how she could have an impact on people’s lives. Becoming a chiropractor was the answer Dr. Sarah had been searching for. Returning to Stevens Point to serve the community she was raised in has been extremely rewarding. Dr. Sarah began classes at Palmer Chiropractic College in 2004, graduating in 2007. She was blessed with the birth of her oldest daughter after completing her first year of school. She was astounded by how encouraging her classmates and professors were throughout her pregnancy and credits the chiropractic field in general for creating supportive communities. She is EPIC pediatric trained and a member of the Chiropractic Society of Wisconsin. Dr. Sarah enjoys seeing pediatric patients as well as pre and post-natal women. She also loves working with college students, helping them to develop healthy habits and repair spinal problems before they get worse. 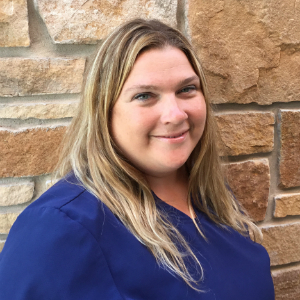 Outside of Compass Chiropractic & Wellness, Dr. Sarah spends much of her time with family and friends because community and connection has always been important to her. She has two very active daughters and loves to cheer them on at sporting events and share her appreciation of the creative arts with them. She can also be found helping out at the American Legion Auxiliary where she raises awareness for veterans and their families.